I feel a bit like I've been "bashing" my loving family for their lack of delicate care of our household furnishing. As the oldest of three girls, I was the lucky one my father chose to pass on all his "guy" knowledge to. I spent countless hours "learning" about rewiring outlets, refinishing hard wood floors, even pouring cement. As surprising as it may sound now, I was the "tom boy" of the family. While my sisters took dance lessons, I was a competitive swimmer. While they played with their neighborhood Barbie circle, I was out building forts. Even so, as much as I didn't necessarily enjoy these lessons with Dad as a young person, I do get a tickle now from possessing greater knowledge in some home skills than my husband. It all started with a tool kit I received from Dad when I was three. Although there are any number of family legends about my antics as a toddler (remind me to tell you the story about the can of Crisco and the dachshund) the most applicable is how my first "project" was hammering nails into the top of the living room coffee table. As the legend goes, upon being asked "What on earth I was doing," in a puzzled fashion, I looked at my parents, at the coffee table, and again to my parents and simply told them, "I'm hammering" in a "what else would one do with a hammer and a coffee table" fashion. While, gratefully, neither my son nor daughter have taken a hammer to my coffee table, mine has seen better days and is soon to be relegated to the rec room. With that in mind, our next stop in the scavenger hunt is Cymax's CoffeeTablesandEndTables.com to see what they have to offer in the way of quality Coffee Tables at terrific savings! I love the concept of hidden storage in this Jofran table with Merlot finish. But the styling of this Magnussen Darien Cocktail Table, with lift top, hardwood solids, drawers and casters is really more of the look I'm leaning toward. Free Threshhold Delivery, and on sale for 26% off, I am really tempted! Of course, with the ease of browsing at Cymax, via the selection options on their left side bar, I could shop around, admiring the Solid Wood Coffee Table selection for quite a while! One can search by shape, finish, style, features and more to find just the right piece! 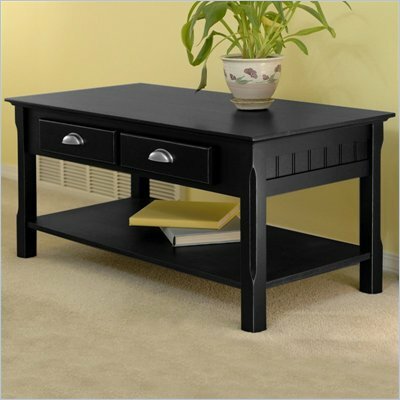 For a simple, clean look at a phenomenal price, consider the Winsome Timber Coffee Table in Black - solid beechwood construction and two storage drawers, at a savings of 32% and a price tag of $149.95 - this table is an easy choice! Tell me your coffee table stories and some other tale of your antics from youth. I'd also love to hear your which is your favorite table from Cymax - let me know how much you'd save on it as well, in a comment below! 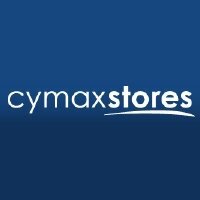 Thank you to Cymax for sponsoring this introduction. The opinions above are both honest and my own. The Scavenger Hunt Giveaway is sponsored by CymaxStores.com and That's What She Said. Hammer image. I don't know anything about your scavenger hunt but wanted to comment on your story. That's hilarious although I wouldn't think that if it were my coffee table! 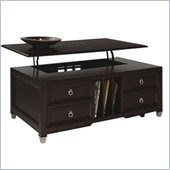 The one I like is Coaster San Jose Rectangular Cocktail Table with Storage Baskets in Black Rub. My current coffee table isn't even being used - it is acting as a plant holder next to some of the kitchen windows! 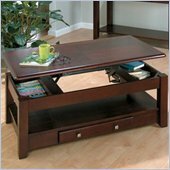 I like the style of the Winsome Syrah Solid Wood Glass Top Rectangular Coffee Table and it has a $167.55 savings! I used to hide food in my mom's coffee table so my brothers wouldn't eat it. I remember once laying under the table hiding and got a splinter in my eye...never did that again. I don't really have any coffee table stories - our old coffee table was made by my Dad when I was young (he used to be a woodworker) and it served us well over the years. We played lots of games around that table and ate lots of snacks! We have only had one coffee table in the years we've been together and it's been in the family since my hubby was a kid. Needless to say it's in crappy condition and I'm dying for a new one (though hubby REALLY doesn't want to part with it). I really love the Steve Silver Stonegate Stone Top Oval Cocktail Table in Ivory and I could save $118.00 (33%)! You have a nice story of life.. haha.. Coffee Tables are nice... i like also a hidden storage ... nice post..